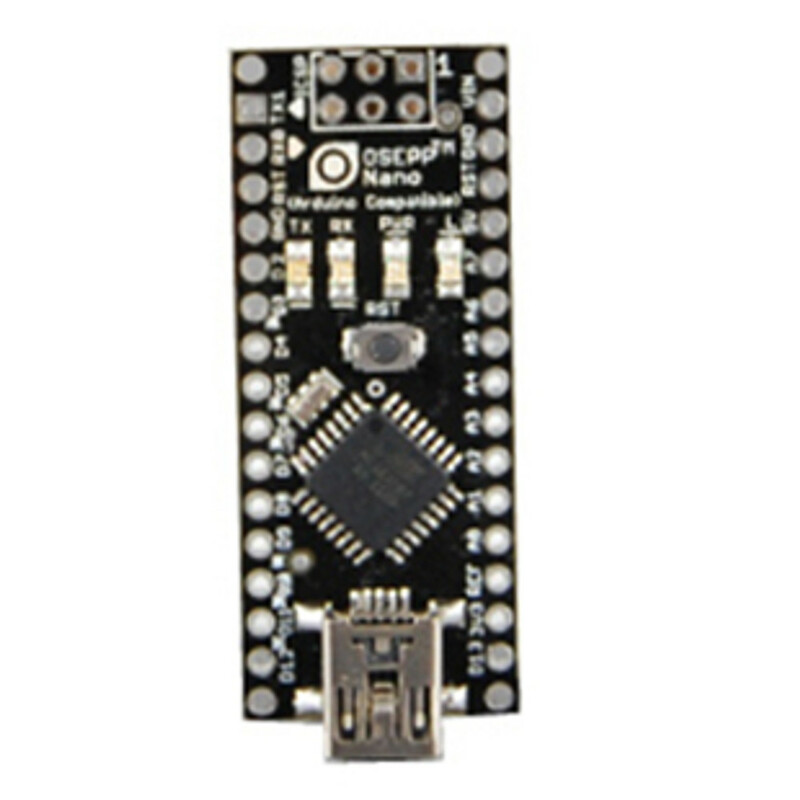 The OSEPP Nano is a breadboard-friendly, downsized version of the Uno board with much of the same functionality. The main workhorse is still the ATmega328P; however, the number of analog pins has gone up from four to eight. The other difference is the lack of a DC power connector. The ATmega328P comes with the Arduino bootloader preloaded. There are ICSP (In-Circuit Serial Programming) pinouts for the ATmega328 that can be used in conjunction with a header (sold separately) to optionally replace the bootloader. The input or output pins can easily be brought out by soldering 0.100” headers to the pads. The board was designed to easily fit breadboards with the headers soldered on. Notes: This board is based off of the Arduino Nano designed by Gravitech, and is released under the Creative Commons Attribution Share-Alike License.